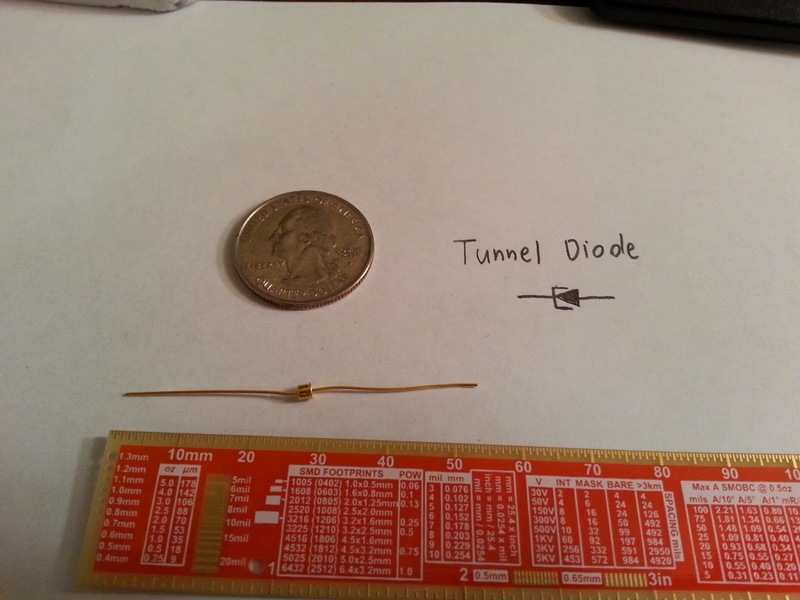 A tunnel diode (also called the Esaki diode) is a diode that is capable of operating into the microwave frequency range. This is made possible by the phenomena of tunneling, which is a quantum mechanical phenomenon where a particle tunnels through a very thin barrier, where the classical (normal) laws of physics says it can not pass through or over. The physicist Leo Esaki invented the tunnel diode in August 1958, when he was with Sony. He was awarded the Nobel Prize in physics in 1973, for discovering the tunneling phenomena in semiconductors. The prize was shared with Ivar Giaever, who discovered tunneling in superconductors, and Brian Josephson, who predicted the properties of a supercurrent through a tunnel barrier. Tunneling can be a parasitic effect in microchips where it can be a source of current leakage and results in substantial power drain and heating effects that plague high-speed devices. This limits how small computer chips can be made. As the fabrication process of silicon chips shrinks every 18 months (Moore's Law) the barriers of insulation that are supposed to keep electrons in, become so thin that rules of classical physics do not apply anymore and the rules of quantum mechanics take over and the phenomenon of tunneling starts to occur. 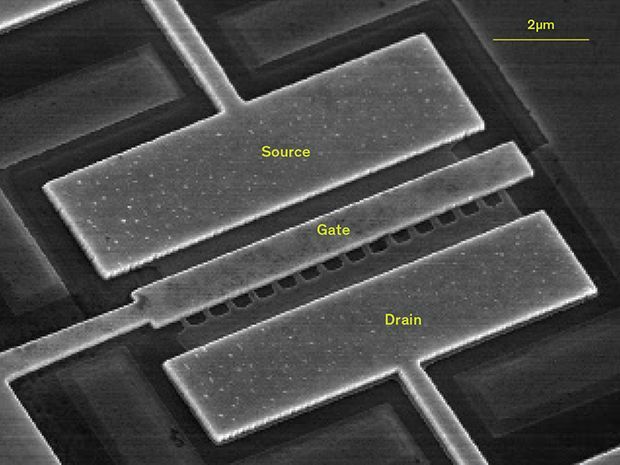 An European research project has used the unwanted effects of tunneling to their advantage by creating a field effect transistor in which the gate channel is controlled by quantum tunneling. This results in a reduction in gate volt from 1 volt to approximately 0.2 volts and reducing power consumption by two orders of magnitude. If future computer processors were to use this transistor, Moore's law may be able to continue for another 4 years when the fabrication process reaches 5 nm in about the year 2021. Tunneling also has applications in precision measurements of voltages and magnetic fields, as well as creating a super efficient solar cell. Also, the measurement of radioactive decay was approximated by tunneling an electron into the nucleus of a radioactive product (Electron Capture). Because of this negative resistance, the tunnel diode is used as oscillators, amplifiers and in switching circuits. Now back to tunnel diodes... Under normal forward bias operation, the voltage begins to increase, and electronics begin to tunnel through the 10 nm p-n junction of the diode. As voltage increases further, the current drops - this is called negative resistance because current decreases with increasing voltage. As voltage increases further, the diode begins to operate as a normal diode again. Using the Analog Discovery as an IV Curve Tracer. 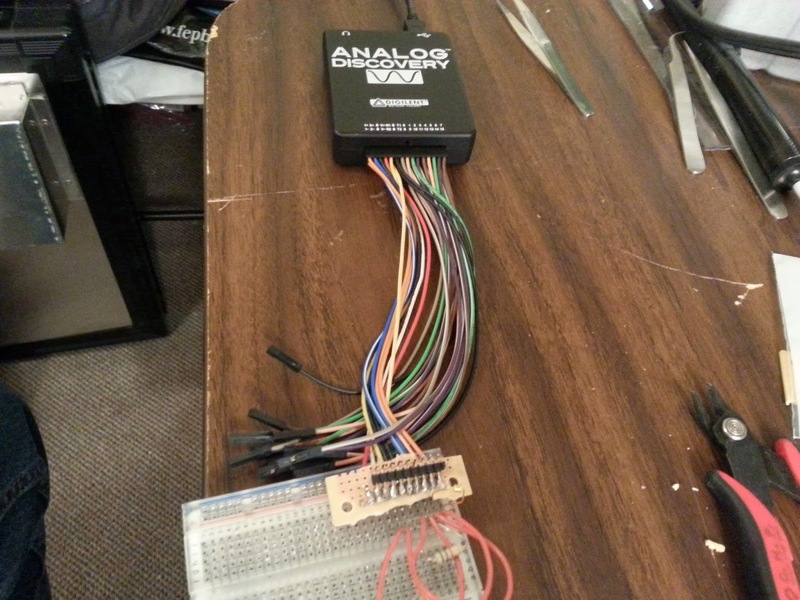 The Analog Discovery can be used as an IV curve tracer because it is capable of plotting in XY mode. In the Waveforms software press the "Add XY" button. Construct the circuit to the left on a breadboard. In the Waveforms oscilloscope window the X value is C1 (voltage across the diode, Vd) and the Y value is the diode current (M1) in amperes. This current is simply the voltage across the Resistor R divided by resistance R (M1 = C2/R). The input signal of AWG1 should start as a sine or triangular wave with a frequency of about 10 Hz, 2.5 V amplitude, and 2.5 V offset. Using these settings, you should be able to view a normal diode's IV curve. For my test I used an 1N3717 manufactured by GE. By Right clicking on the graph, turn on persistence to view the negative resistance region. 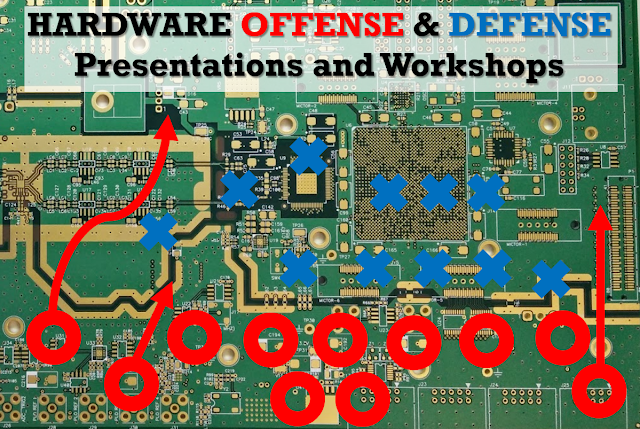 I think it's pretty cool that you are basically observing an effect that was discovered more than 50 years ago, and it still has applications and implications in electronics today and in the future. Also, in the near future super fast networks (30Gbps) will use terahertz technology that uses Resonant tunneling diodes! to ask "how I get those curve tracer plots?" I have found your website very awesome. I'm glad to find this collection. This collection regarding Electronics show your hard work and superb search about it. I appreciated your work. Keep it up. I also have seen a website which almost like this.